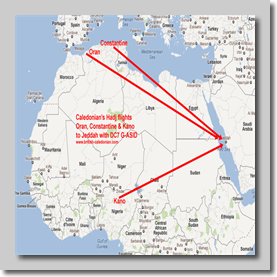 The Prophet Mohammed was born in Mecca in A.D.570. 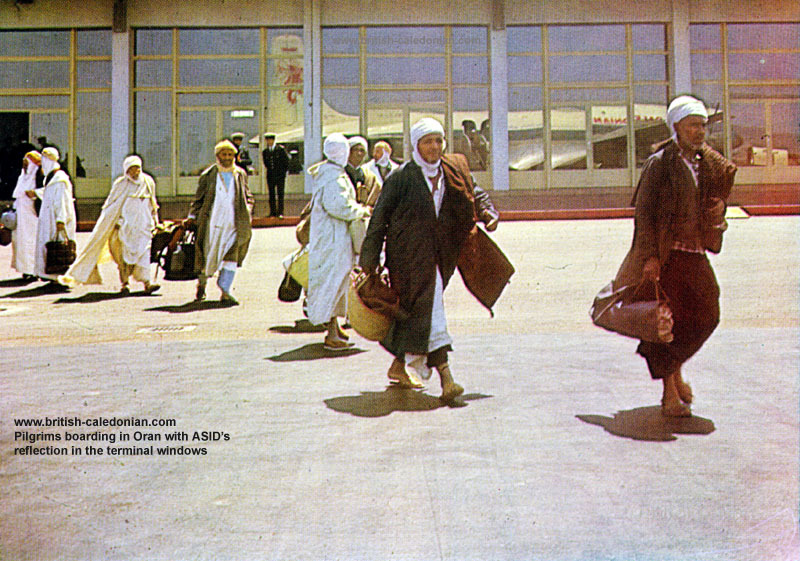 In A.D.622, having been warned of a plot against his life, the Prophet moved secretly from Mecca to Medina. 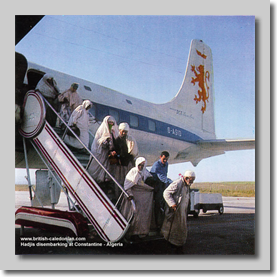 The year of this move, called 'Hijra' or 'Hegira', marks the beginning of lslam and the first year in the Muslim calendar. 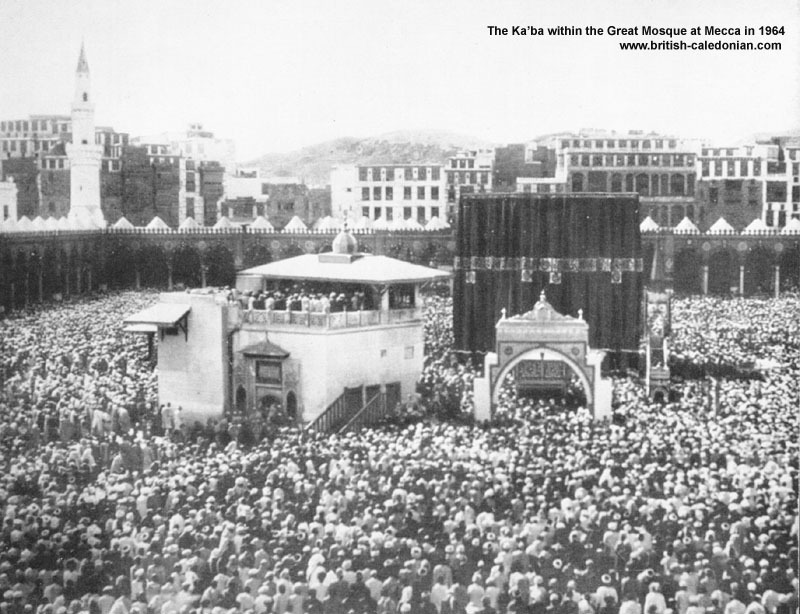 The Ka'ba, the cubical building in Mecca containing the sacred black stone, is believed by Muslims to have been built by the Prophet Abraham and his son Ishmael. 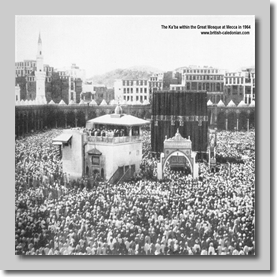 It has become lslam's holiest shrine to which Muslims anywhere in the world turn when they offer themselves in prayer. 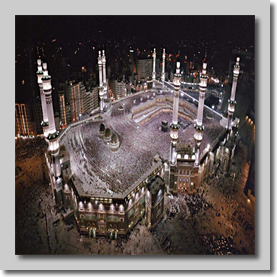 The Great Mosque around the Ka'ba which Mohammed helped to build, and the Prophet's Mosque at Medina containing Mohammed's tomb, are lslam’s two greatest places of worship. 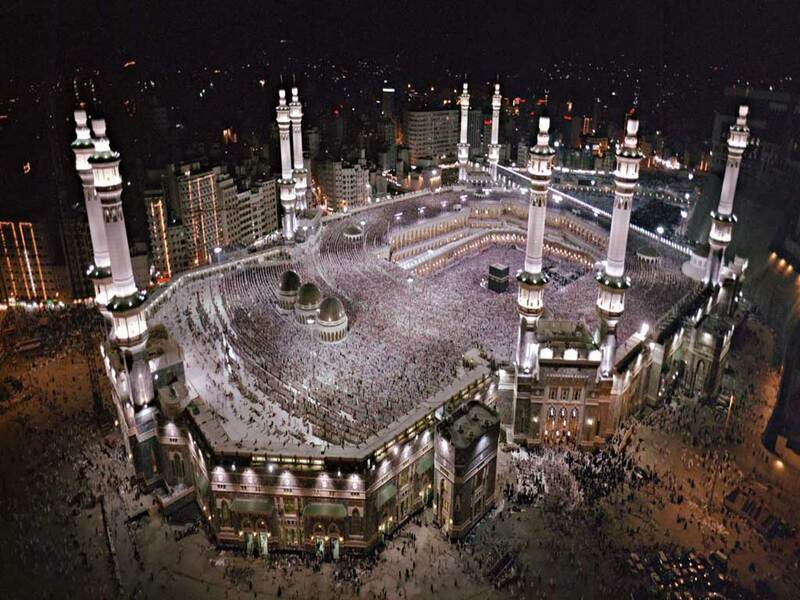 To Muslims all over the world, the Hadj - the pilgrimage to Mecca - is the climax of a lifetime. 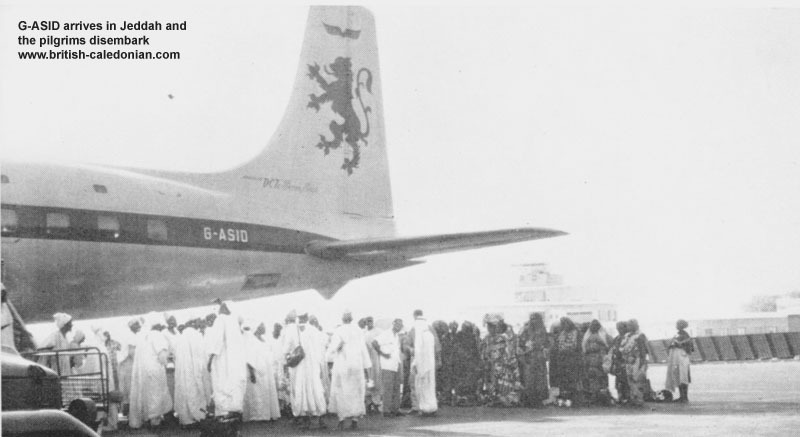 Until relatively recently, it was often beyond reach because of the harrowing difficulties of travel. 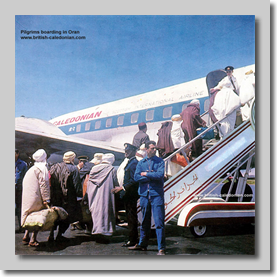 Back in 1950, Airwork started to operate Hadj flights between Karachi and Jeddah, carrying a small percentage of the 250,000 Muslims who made the pilgramage to Mecca. 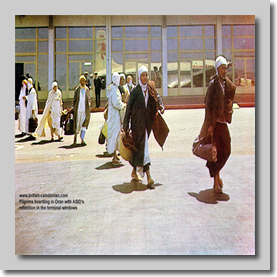 The use of aircraft to travel to Mecca would become more popular, it sped up an often fraught and difficult journey that till then had been often made by ox cart, camel and for many walking. 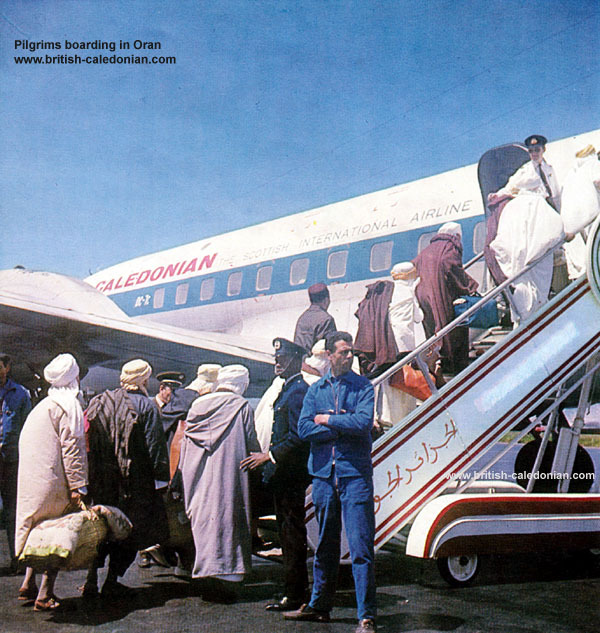 Caledonian first started their Pilgrim charter flights to Jeddah in 1963 and carried 1,542; in 1964 this grew to over 3,000 pilgrims and would increase again in 1965. 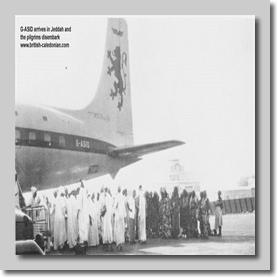 BUA also flew services to Jeddah. 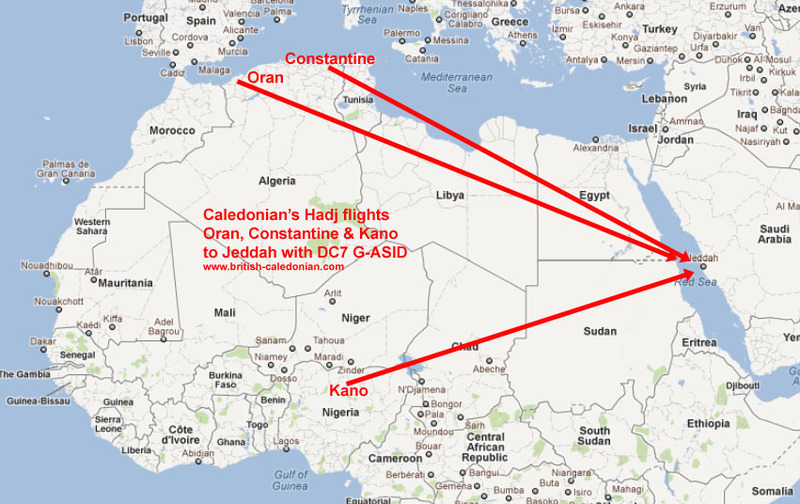 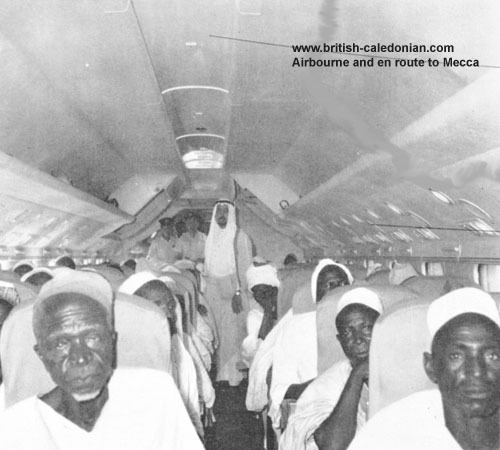 Below we have a series of photos following Caledonian's DC-7 G-ASID on her travels between Constantine and Oran (Algeria), Kano (Nigeria) and Jeddah in 1964 carry pilgrims to Jeddah. 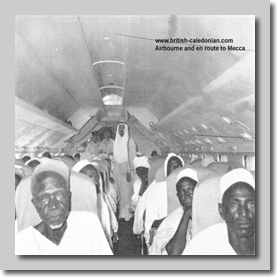 On their return pilgrims who have made the Hadj to Mecca are called Hadjis. 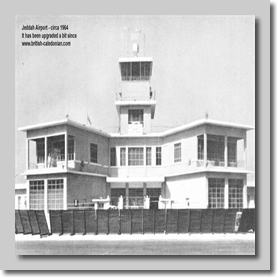 Jeddah had a new airport built, the King Abdulaziz International Airport opened in 1981, this is a few miles from the old airport. 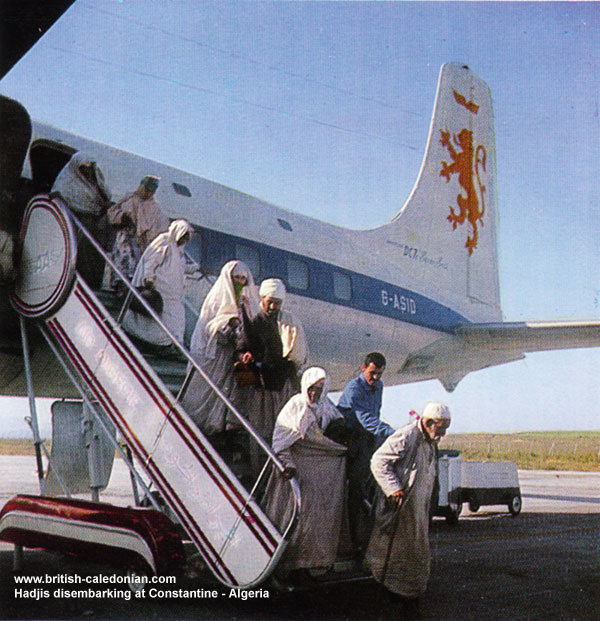 The new airport now sees over 2 million pilgrims every year, all condensed in to a 6 week period. 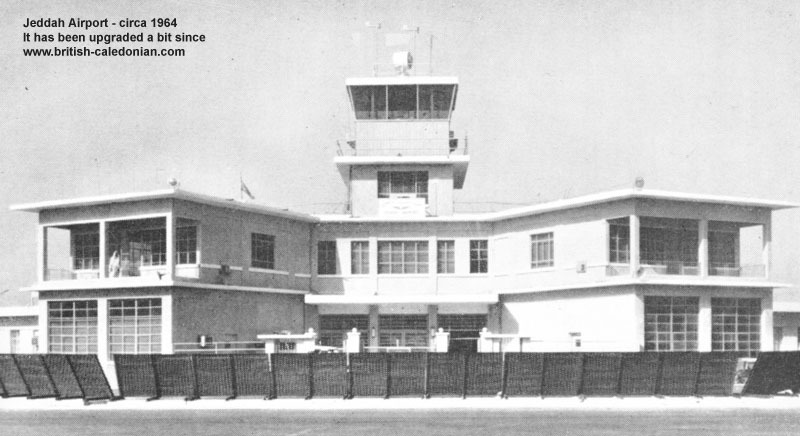 To accommodate this huge number of travellers; two special terminals have been built (see below) and the new airport extended to cope. 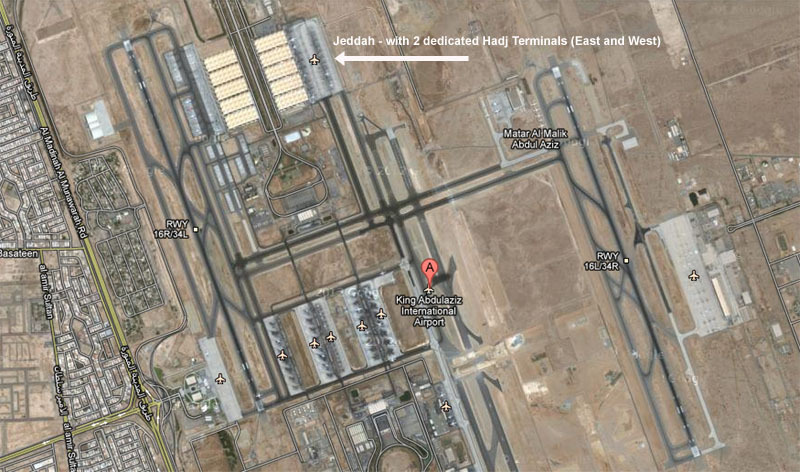 Aircraft can taxi for up to five miles now from the Hadj terminals to the runways depending on which is in use.